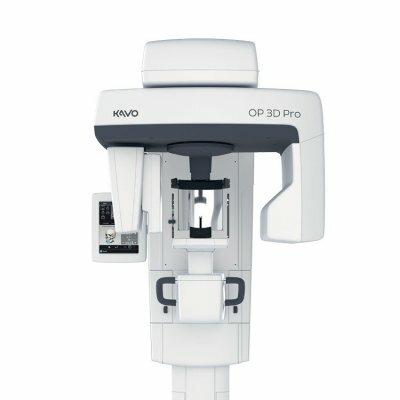 Carefully planned features and FOV specifically optimized imaging parameters, together with the advanced ORTHOPANTOMOGRAPH technology, make OP 3D Pro the ideal tool for all dental imaging needs and the most comprehensive 3-in-1 platform for demanding professionals. Versatile, optimized software enables efficient diagnosis, resulting in a fast and effortless workflow for all imaging modalities. No compromises have been made in any of the many aspects of image quality. Both the volume and the resolution can be selected according to the indication and region of interest. Treatment plans can be made with confidence knowing that OP 3D Pro masters the details. Excellent imaging starts with accurate patient positioning. Patient positioning is intuitive and precise. Imaging modality and exposure values are smoothly set with the large 10″ user interface. With OP 3D Pro there is no need to compromise with FOV positioning. Horizontally, FOV can be positioned freely from the user interface. Vertically, free FOV positioning is achieved by motorized movements of the chinrest. 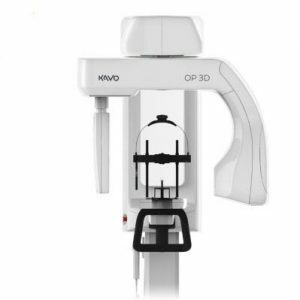 For precise positioning that eliminates the risk of retake exposures, the OP 3D Pro can take a two-dimensional SMARTVIEW scout image before the CBCT examination. From the scout image the position of the volume can be verified or corrected if needed. The OP 3D Pro units are designed as expandable platforms, with a cephalometric option available. Cephalometric can be left- or right-sided to ensure optimal system performance and ease of use and is field upgradeable. Unit handedness also can be changed in the field. As the original inventor of the ORTHOPANTOMOGRAPH, we have always strived to give our customers the very best tools to succeed. OP 3D Pro offers a versatile selection of volumes and available resolutions, as well as the precise and free positioning of the volume. OP 3D Pro truly makes it possible to choose the smallest volume along with the appropriate resolution based on the indication. In addition, OP 3D Pro users have the luxury of using Low Dose Technology™ (LDT) that provides quality optimized images for a very low dose. This technology provides low dose scans while keeping the clinical value still intact. LDT is ideal for sensitive cases such as children, follow-up, even implant planning or any other case where maximum resolution is not required. The OP 3D Pro also features patent pending Automatic Dose Control, or ADC, in 3D. Patient specific exposure settings are obtained automatically, providing the best quality images available at the lowest needed dose to your patient. With OP 3D Pro, proprietary ADC technology adaptively regulates panoramic exposure levels for each patient. It optimizes the dosage during every acquisition patient-specifically. ADC enhances the workflow efficiency because there is no need to select the exposure values manually. Low Dose Technology (LDT) can be used in dose sensitive cases and control or follow-up situations where maximum resolution is not required. Standard resolution scan takes only 10 seconds with exposure time only 2.3 seconds with optimized patient dose. Endo resolution scan is available with smallest FOV featuring 85 μm voxel size and MAR. Endo scan is tool designed for endodontic as well as other applications where extreme accuracy is required. For implant or endodontic cases where metal artifacts are present, the metal artifact reduction tool (MAR) can be used for optimized images. A two-dimensional scout image can be taken before CBCT examination to adjust the target position visually from GUI screen. This guarantees precise positioning and eliminates risk of retake exposures. With the OP 3D Pro, exposing a larger area than necessary in order to examine the area-of-interest is not a concern. The FOV location with all available FOVs can be positioned freely in both horizontal and vertical directions, with ease — offering the control needed to get the right image and assisting in limiting exposure to the patients.